G1: Marcus, you first came to my attention, and I think national attention, with the group BLACKNOTE… What’s happening with BLACKNOTE now? 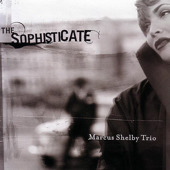 Marcus Shelby: It’s interesting that you ask that, because I’ve recently been in conversation with Willie Jones, the drummer, and we’re in the creative stages of putting together a new recording project that we’re going to do on Noir Records, our label here. We’re real excited about that because we haven’t actually played together for some time. He was in town about six months ago, and we hung out for about a week and did some playing, but the group BLACKNOTE hasn’t actually done any work together for the last two years… at least two years. We’re excited about the new project because we’re going to have some guest artists: Anthony Wonsey, perhaps Roy Hargrove on some of the tracks, along with James Mahone. We’re going to record that in July. You know, BLACKNOTE, I don’t think we’ll ever break up. We took some time off; Willie went to New York, James went to New York, and I stayed here in San Francisco. G1: BLACKNOTE’s first recording, 43rd & Degnan, was done on World Stage Records, an independent label run by legendary musician Billy Higgins. Marcus: Yeah, Billy Higgins is the owner. Kamau Daaood (noted poet), he was also part of the whole World Stage movement and he provided the space. Billy was the one who financed the label and threw us in the studio when we could barely hold our instruments right. We went in there with a lot of heart and a lot of fire and we did 43rd & Degnan, and every now and then I’ve gotta pull it out and dust it off and remember where I came from. G1: How did all of that come about?… the hookup with Billy and the recording?? Marcus: I moved to L.A. (Los Angeles) in 1990. I went there, I knew Billy was there, but I didn’t really know anybody else. I didn’t know any other musicians, so I started asking anybody who I saw was involved in music where Billy was and they told me to go down to Leimert Park. I went down there and hung out for about a month straight, then I heard that he was out on the road. I kept going back every day, and then one day he was there practicing. I told him that I had been looking for him. He didn’t know who I was, but he took me in. I guess he saw something in me, because he took me in, gave me a key to the World Stage and over the course of the next four months was when I met the different members of BLACKNOTE, Willie, Richard Grant (trumpet), and James. We decided to put together a project after four months, but we didn’t want to play anywhere. We wanted to shed for about six months. We didn’t do any playing, no gigs or nothing. We just practiced for six months at the World Stage. Billy would bring in different cats, like he brought Elvin Jones in, Cedar Walton came, like, every Wednesday and worked with us. Barry Harris, Ron Carter, anyone who was in town he’d bring down to the World Stage and have them work with us. We’d talk about concept, technique… After, I would say, six months we got our first gig at a health food restaurant, this place called The Good Life. We played there every Tuesday. G1: Having the chance to shed like that, I could only imagine the value in that. It seems like a lot of musicians, once they learn a few phrases on their instrument they want to get out and gig right away. For you, what was the benefit of just taking that time to actually just shed and connect with the group? Marcus: The big benefit was that I got an opportunity to work out different concepts about playing and learn different concepts. You can do a lot on your own, but when you have a collective of musicians who want certain music aesthetics as you do… I mean we thought the same way, we breathed the same way, and we all wanted… we all had a clear vision, which was the same. Four guys, and that’s really incredible, when four people see the same goal and are willing to work hard to reach it. That was really what BLACKNOTE was all about. We all had this clear vision, musically. We had the same influences: Miles’ bands in the 60’s, Coltrane’s rhythm section, Clifford Brown’s rhythm section with Max Roach and George Morrow, Wynton Marsalis’ first band… We all worshiped the same Jazz gods, and that influence you can only get when you have four people like that. You can’t really individually get it yourself. We worked out the kinks, we worked on concepts, we worked on skills, we all wrote music, we brought music in, we shed… it was like a workshop. Those were the type of things that made us jump from just four guys who knew how to play, to being a real strong unit that was headed in the same direction. We got on each others case, you know, in love and only within the rehearsal situation, once we were outside the rehearsal situation it was all laughs and jokes. But when we were together, playing on the bandstand it was very, very serious. G1: …And now, down the line, four albums later, and you’re the owner and head of a record label, NOIR records. Was that in your vision back at that time? Marcus: You know, I thought about it. I entertained the idea of a record label, but I was always kind of intimidated because there are so many components to a record label that you can’t even imagine. A lot of people think it’s just making a record and then putting it out and hoping the world likes it. That’s far from the truth, I mean, it’s a business so there are business issues that you have to deal with… from the lights, to having computers, to having phones, and then when you think you have all of that together you have to think about what kind of business it is. We’re going to make records, so we have to promote them, we have to market them, we have to make GOOD records, we have to have people to produce records, we have to have distribution, we have to have some sort of promotion. Ok, where do you get all of this money to do it? So I was always intimidated. I always thought owning your own record label could be pretty cool. Even though we did an indie for Billy Higgins there really wasn’t a machine behind pushing those records; it was like “Let’s make the record, send it out, and see where it lands.” When I came out here I really wanted to do something that was going to have a, I don’t want to call it a machine, but something that would be able to sustain itself and something that would allow multi talented artists working in Jazz, working in Spoken Word and classical music to have a place where they could be promoted, be marketed, produce their own works, have control of their own compositions, and have the distribution that could compete with the major labels. It was intimidating four or five years ago, but two and a half years ago when we started the label I felt that this is something that could happen. If I can get a collective of people who were interested in music, an artists’ base, that’s why I chose the Bay Area. The Bay Area has the artist base and the support of the public on the live situations. So, I ended up here. I love this city and this is where I felt something like this could happen. G1: How long did it take from the actual thought of starting a label, to putting everything together, to putting out that first disc? Marcus: It took about nine months. I did some research. I thought about how I was going to do it. We didn’t start with investors. We didn’t start with a bank loan. None of us has a rich uncle. 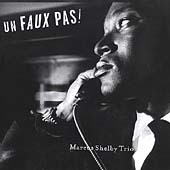 So it was like, the thing to do was to put together a project that could get the ball rollin’ so we did the first trio cd Un Faux Pas! (with Jaz Sawyer and Matt Clark) that helped us get our distribution, that was kind of our calling card. Then we figured we’d keep knocking on the doors and learn the distribution game… because it is a game and if you can learn all of the options and opportunities that you can get out of distribution, and know how to speak the language, you can start to make things happen. It took us about two years to do that. We did another project, a Langston Hughes/Romare Bearden project (Midtown Sunset vol.1), then we did a spoken word project with Jazz, and then we did The Sophisticate and by the time we got there, we’d figured out how to promote and we’d raised enough capitol and resources to promote. It does cost a lot of money, even if you know the game you still got to have some money to play it. We were able to pull that together and at the same time make sure that the creative aspect, which is the most important thing, was still progressing and getting to a level where we could feel proud about what we were creating and being able to promote that with pride. G1: Noir Records is more than just a Jazz label, you record and distribute different types of music. One of the things that you’ve done is the disc Spoken City, which features some of the talent from the Bay Area’s ever-growing poetry and spoken word scene. Marcus: That’s something that came from a project that we pitched to Levi’s, or Dockers Khakis more specifically, to record shows they had already set up to produce live. We had a very nice contact and friend at Dockers who saw the value and how it could work and still be a part of their overall marketing strategy. Their whole idea and concept was to work with companies that are involved in grass roots type projects, and that’s what this was about. All of the proceeds go to this organization called YOUTH SPEAKS, which is a youth organization that’s committed to poetry from kids; a community based non-profit organization. We’re very active in spoken word, so this project and the live concerts were right up our alley. Recording them is something that we would do whether Levi’s sponsored it or not. 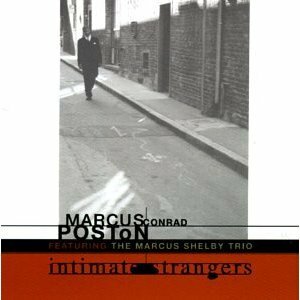 G1: Marcus Poston is another spoken word artist on the label, did you know him before signing him to Noir? Marcus: Yes. I met him at different art gatherings in the city and we became friends. He told me he was a writer, and showed me some of his work, and I thought it was interesting. It was like an extension of Kerouac into the 90’s. I felt like there was something that could happen that would celebrate the beat poetry of Jazz without being too stuck into it. So, we spent about nine months plotting and planning his album. It was the first time he’d ever been in a studio, and he went in like a true professional to knock out his work and consequently put out a great album. That was a very rewarding project because here’s a guy who was, like, 21 at the time who, from one year didn’t know that anyone would ever read his work to the next year having it recorded on a cd. It completely changed his life. Now he’s totally active on the arts’ scene and he’s doing workshops for kids, he’s launching a magazine under the Noir label, that deals specifically with art and culture in the Bay Area. That’s what this label is trying to do, inspire people to try to reach their full potential. G1: How did the concept of the label come about? Noir Records. I mean, when I look at the cd covers and just hearing the name Noir, it reminds me of film. Film noir… black and white, sharp images. What did you have in mind? Marcus: The name has a lot to do with my personal influences in art. Film noir is an art form that I’m very fond of. Old films, old French films, old American classic films that were shot in film noir fashion have influenced me as a composer, as an artist, and I just think the word Noir has a very strong significant meaning to it, just being Black and being strong. I wanted something to represent what we were doing, having something that was strong and spoke about who we were, you know, without being too much in the face. But, I think there’s a message there about being Black and strong, and Noir was the best way that I could do that without being pretentious or catchy or self absorbing. I think all of my interests kind of came together in that word, Noir. 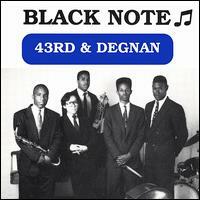 BLACKNOTE was the same thing, something that was strong and positive, and had a musical connotation to it. Marcus: Willie and myself, we came up with that idea. There were a lot of Malcolm X tapes floating around Leimert Park and we heard this one speech and we were like “Man, let’s use that at the beginning of our album”, it was like “It’s time to stop singing and start swinging”. Our whole concept was swing, from A to Z and that’s what BLACKNOTE was all about. This was our first major release and that’s the way we wanted to step to the public eye. We were heavily into Malcolm’s work at that time and we heard this speech that was like an eye opener. We thought, whoa that’s the beginning of the album. They made us pay for it too. That few seconds cost a couple of grand, man. G1: Since BLACKNOTE, you’ve taken your music into different arenas; you’ve composed for dance companies, and film, and even had an acting role in a play about musicians. Is this something that you just see as a natural extension of what you do as a musician? 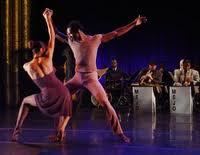 Marcus: I kind of wanted to be… My interest in art extends to dance, ballet, theatre, and film, and in performance. I’ve had the fortunate experience of being in every aspect of the record business, as an artist, involved with management, involved with publishing and production. Some of the other things that have happened have been by chance, I didn’t plan it. It was just by chance, as an artist and then on the other side. So, I was able to bring some experience to the table. The timing, being here in San Francisco at a time that’s ripe with art, and meeting certain people that wanted to do the type of project that was community and grass-roots based and having the artists to work with. There are probably a number of Jazz musicians who could do an operation like this. It takes a lot of patience, it takes a lot of perseverance, and it takes a lot of resources and a lot of heart. If you can think business wise, because you have to have some sort of business acumen… My background is, I was an engineer before I did all of this, an electrical engineer. I went to Cal Poly and studied double E. So I learned how to think in college, and how to problem solve, and was into technology based discipline. That may have a little bit to do with my business background. G1: How do you see Noir records as time goes on? Marcus: I would like to see us maintaining our independent spirit of helping artists do things that allow them to control their own work and still have their work have the same type of exposure that they’d get from the major labels. We’d also like to provide opportunities for people to work as artists and with artists without having to move to New York or Los Angeles. We’ve been lucky that we’ve been able to pull together what we have, and do what we have. We just want to continue to build on that. There are other people who want to work in promotions, marketing, and business affairs, they’re not necessarily artists but they want to work with artists. There’s got to be some sort of machine set up for them to do that. Industry has to keep supporting the works or it will die. By supporting I mean recording and distributing the works so that other people could recognize that there’s something going on. Writers have to continue to write about it. That’s how things keep going, because if people turn their backs on it, no one records it and no one writes about it they’ll go by as if it never happened. Excellent interview, Greg. Sheds light on this remarkable artist. Thanks for sharing. Thanks for sharing! 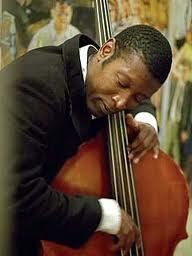 I love Marcus’s music and learning some of his history offers more insight into this fabulous musician.